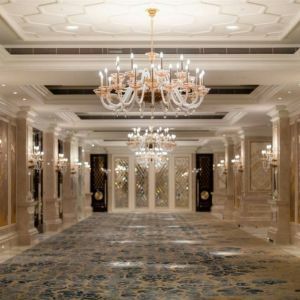 Designed in the traditional Ritz-Carlton style, this world class property encompasses stunning classic aesthetics with modern innovations through technology. 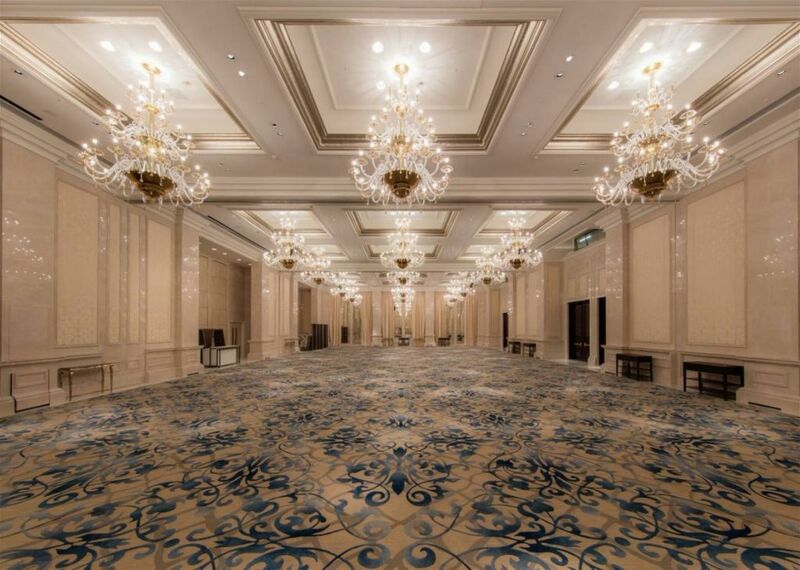 The all-suite hotel brings elevated luxury within Cotai Galaxy Macau's new and exciting integrated resort. 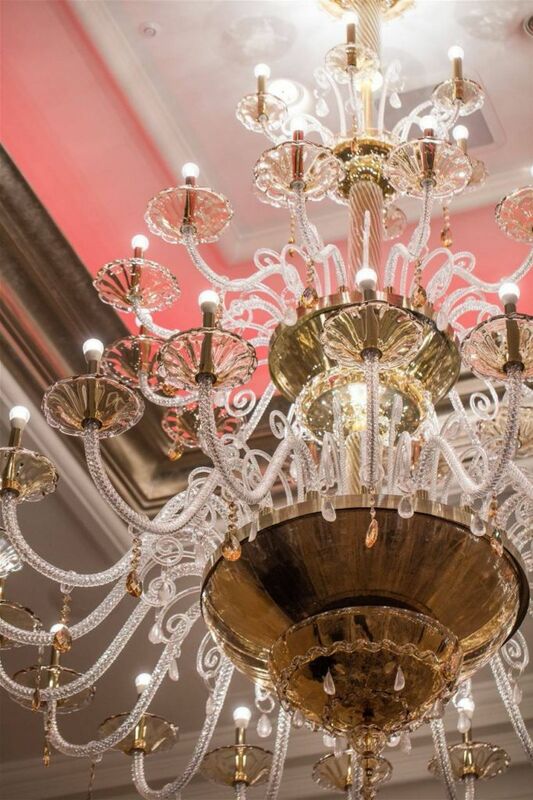 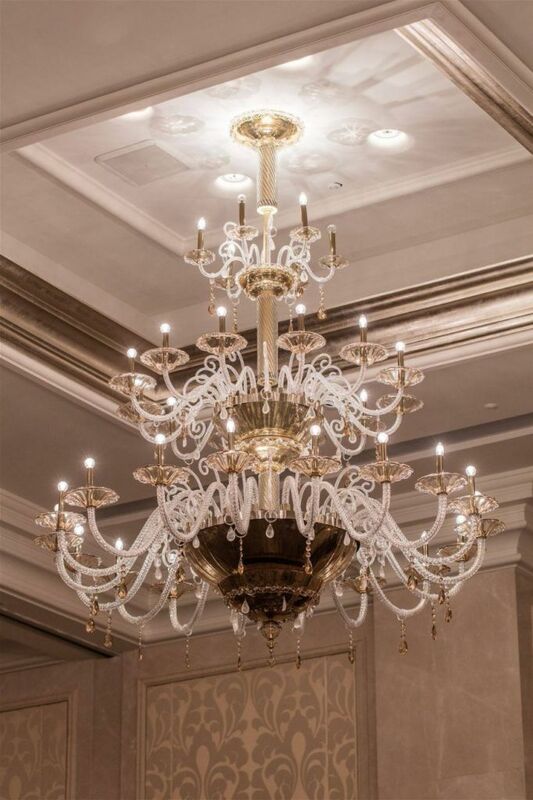 The chandeliers are designed to be more than just a mere source of light. 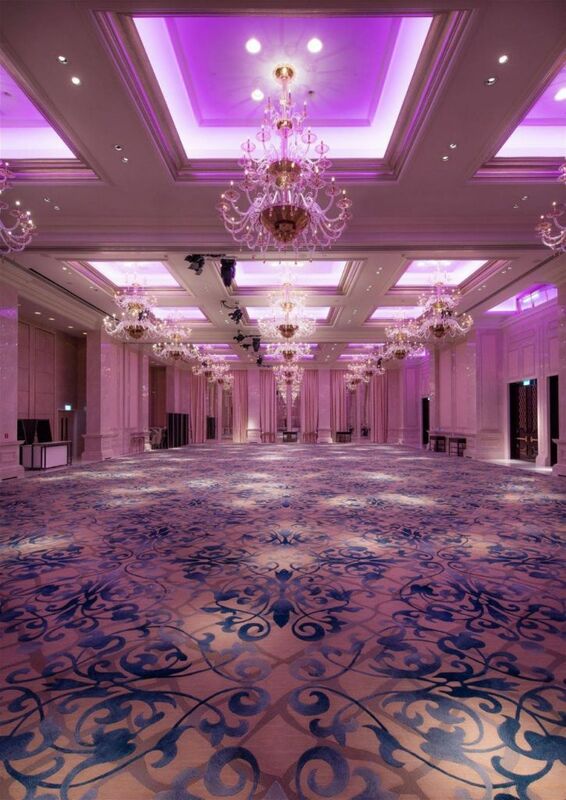 They are a great addition to the ballroom which supports the overall impression of the interior. 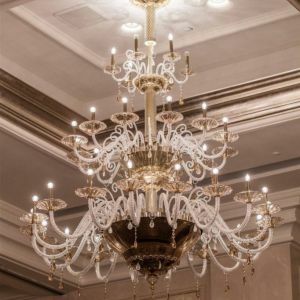 It's not only about what the chandeliers can do but also about how they can magically transform the surrounding space. 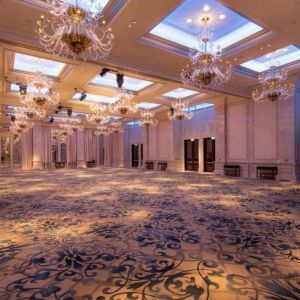 Many events take place here and each one of them can have its own mood and ambiance accompanied by special telescopic light features. 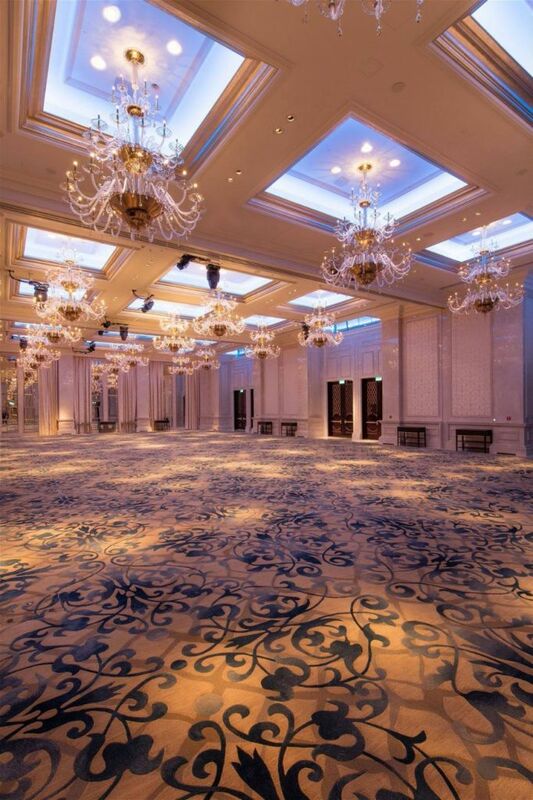 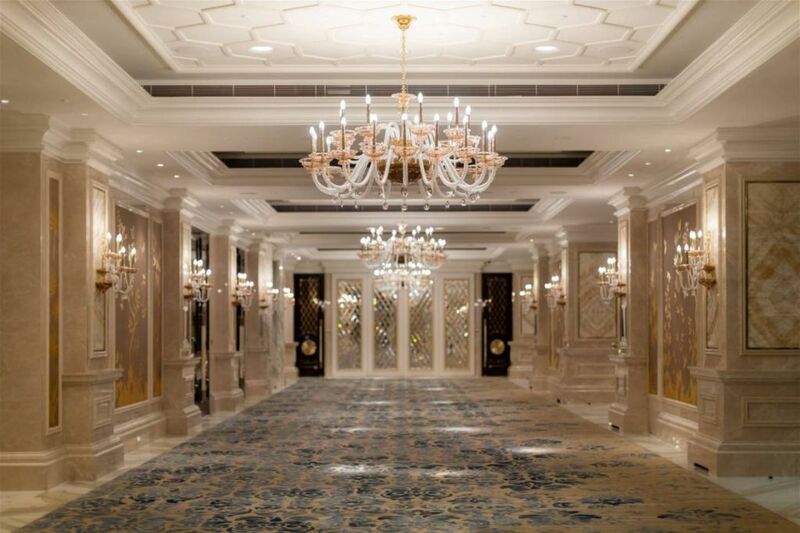 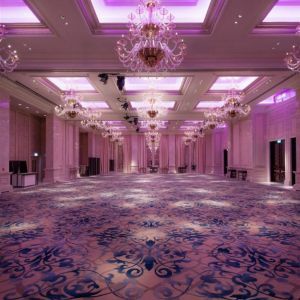 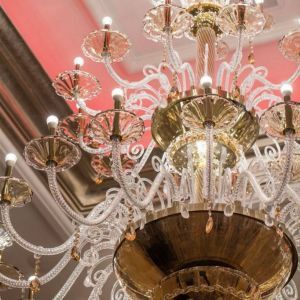 The key was to imagine the ballroom filled with guests, with lights slowly dimming and chandeliers reaching harmony in smooth and elegant movement. 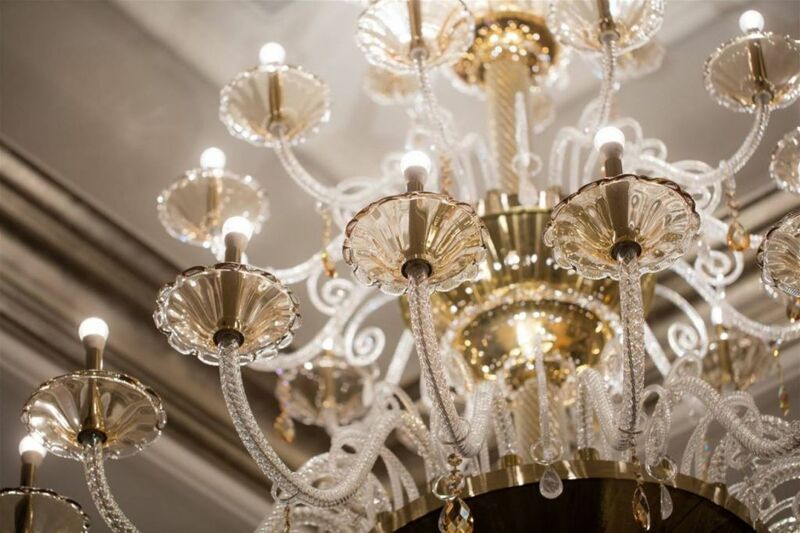 All the elements come together to create a beautiful atmosphere through light in its various forms. 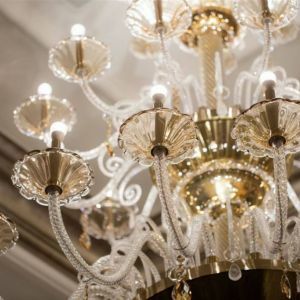 The whole concept is based on the unique combination of the early 19th century classical style and glass in motion. 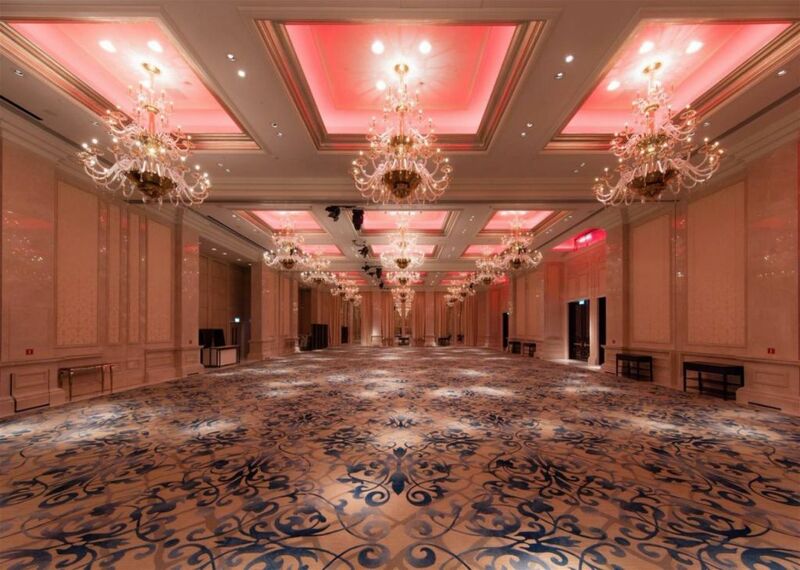 There are eighteen telescopic chandeliers of 36 arms in the ballroom. 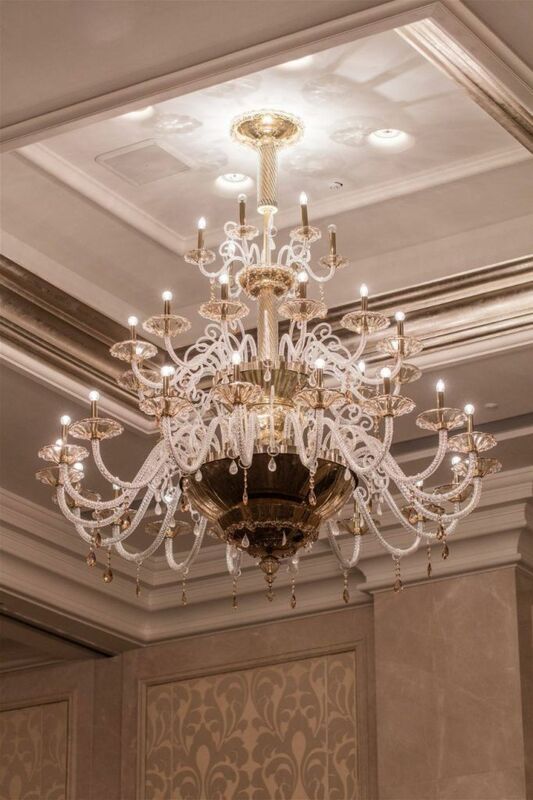 Each chandelier weighs 500 kg and its arms are placed in 3 different levels that repeatedly expand and fold back. 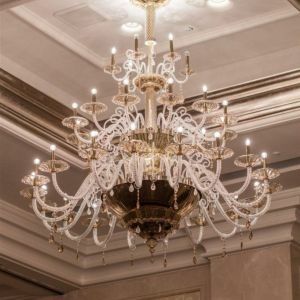 Jan Šípek says: “Imagine a chandelier of 2, 8 m x 2 m growing from two to three meters in height and gradually changing its silhouette. 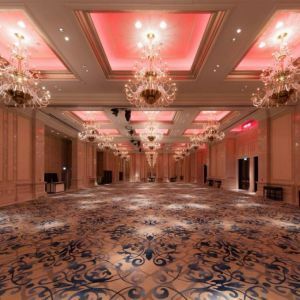 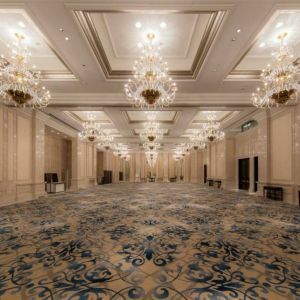 It creates a visually impressive performance.” The movement and adjustment of the telescopic chandeliers is fully controlled by a computer.